EDN magazine interviews Jasper Wolfe about the new Phonesats to be launched this year which will carry amateur radio payloads. 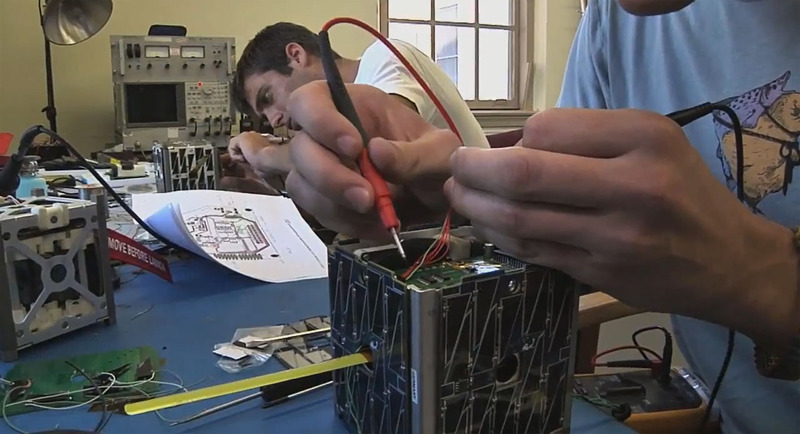 The Phonesats were developed by young engineers (average age 23) at the NASA-Ames Research Center. Wolfe told us that NASA’s next generation PhoneSat satellites to be launched on November 6 and December 6, will emit packets over the amateur radio band at 437.425 MHz. Satellites transmit using AFSK (1200 bps) modulation, AX.25 packet coding and have vertical linear polarization. As in the first launch, hence the term “Crowd-sourced science” coined by mentor Jim Cockrell. The two PhoneSat 2 and 3 satellites will transmit with a periodicity of respectively 28 seconds and 30 seconds. The PhoneSat 2.0 beta satellite, Alexander, transmit with a periodicity of 25 seconds. One satellite will be up there for two years and the other for three months.